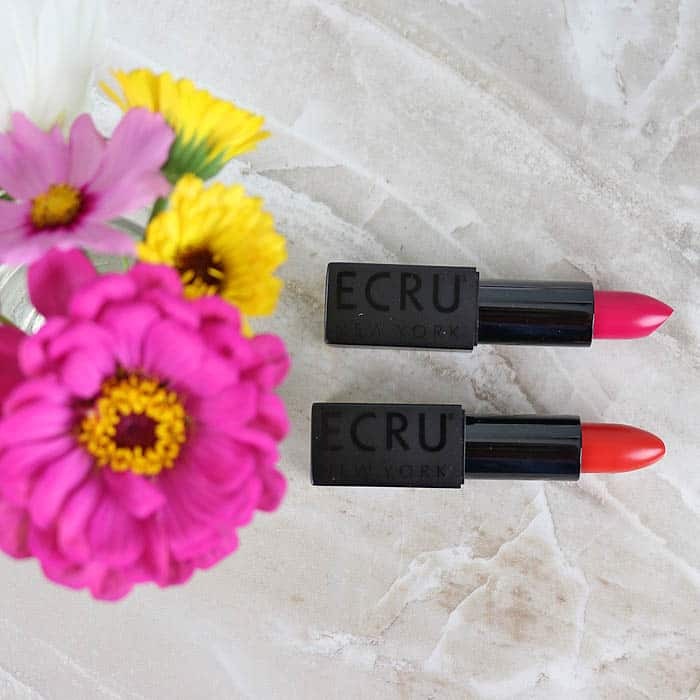 After being impressed with some of ECRU New York’s hair care products, I figured I’d give their lipsticks a try. The lipstick tube is high quality and it features a cool, magnetic cap, which is a fantastic idea. The Velvet Air lipstick has an innovative formula that goes on satin and then can be changed to matte by swiping your finger across your lips. It’s like two lipsticks in one! Either way you wear it it feels lightweight and non-drying. 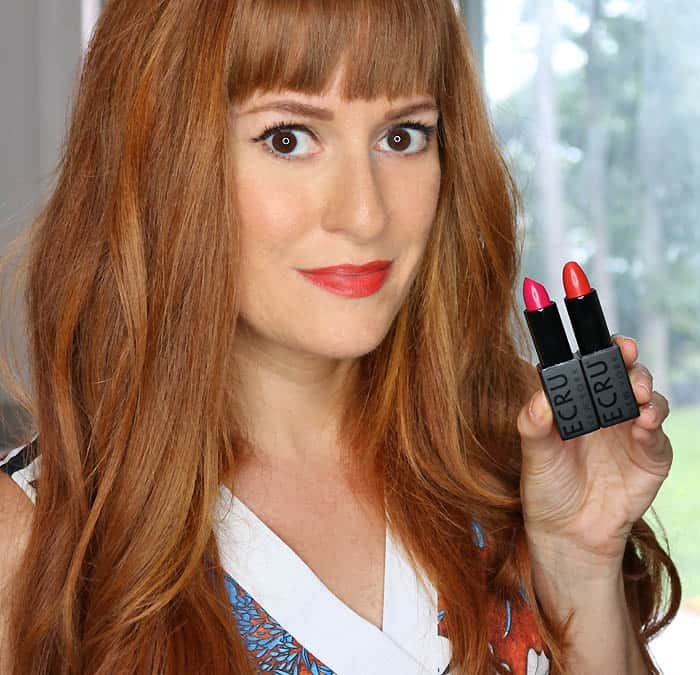 I usually don’t wear fuchsia lipstick, but it’s the summer and I’m feeling daring! I’m getting more use of the Fearless Fuchsia color than I thought I would. It looks great against a tan (faux of course!) Brick City is the perfect warm, red-orange (which is the only shade of red lipstick I’ll wear). (by calming the sense) it also fights wrinkles! It’s silky, lightweight and it you can barely feel it when you’re wearing it. The best feature are the copper oxide fibers that are woven throughout. 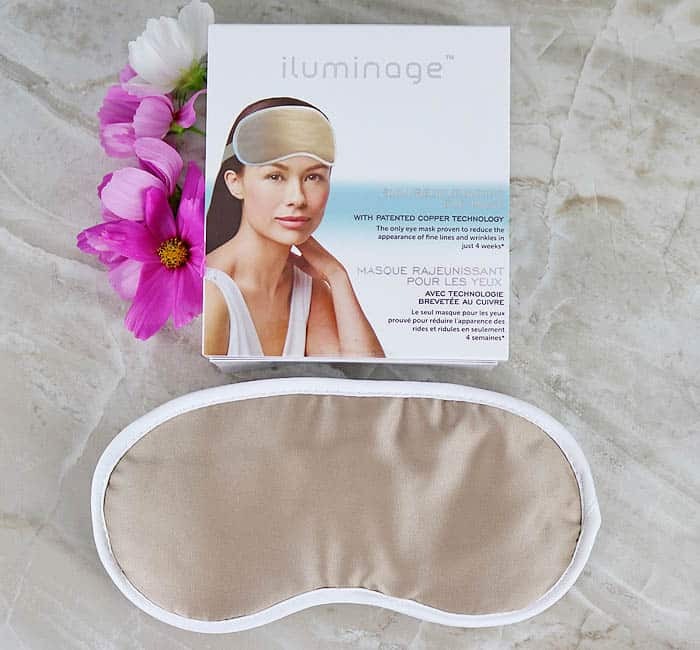 When the mask is on the copper ions actually transfer to your skin to promote natural cell renewal and fight fine lines. Isn’t that amazing? 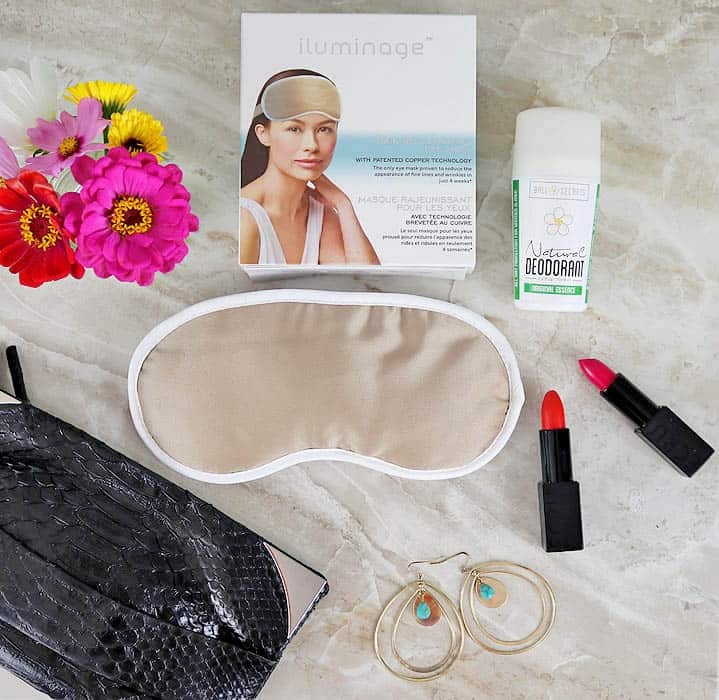 This eye mask reduces fine lines in as little as 4 weeks. After using this I noticed that those little smile lines near the corners of my eyes looked almost invisible! 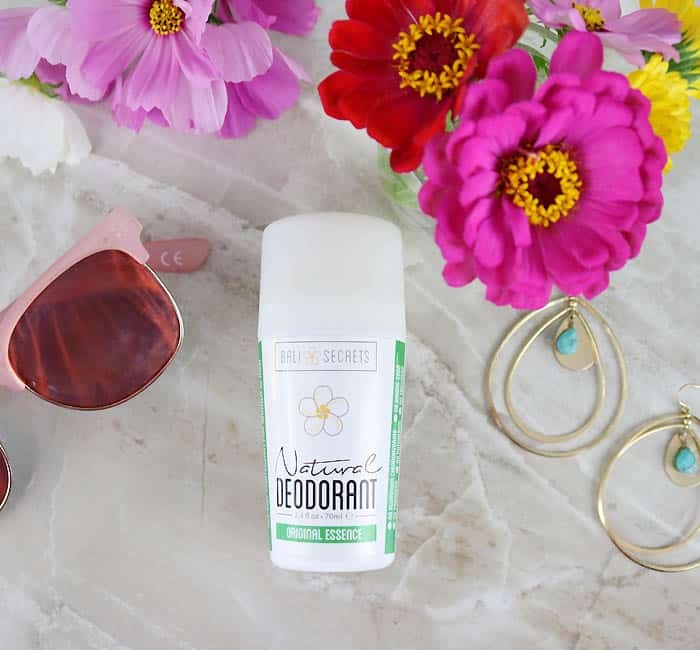 Is it weird to get excited about a deodorant? I don’t care- Bali Secrets is my holy grail of deodorants! I’ve been making a conscious effort to replace products with beauty/skincare “green” ones. The one thing I couldn’t get on board with? Natural deodorant. Over the years I’ve must of purchase close to 20 different natural deodorant sticks, sprays, crystals (etc). None of them worked! One particular brand (that I paid $15 for at a fancy health food store) was so terrible it was like wearing no deodorant at all! I had just about given up on natural deodorant when in a moment of boredom I started reading reviews on Amazon. Bali Secrets Natural Deodorant is not only the #1 best-selling deodorant on Amazon,the reviews were fantastic. I ordered it and it arrived during a particularly humid, hot week. First off, it smells amazing- fresh and a slight rose scent! Secondly, It works. I didn’t have to reapply mid-day. It stood up to the heat, humidity, and gym visits (that including running) If any of you still haven’t found a natural deodorant that you love, try this!